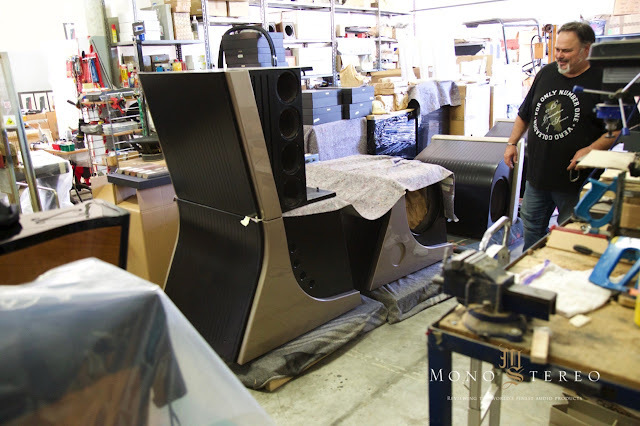 After my two auditions at the Sigma Acoustics factory premises in Italy, the MAAT flagship speakers finally arrived for the in-depth evaluation. There are three models in the MAAT range (MAAT Orchestra - Classica - Modern) and Aldo Zaninello arranged for the review same of the MAAT Orchestra model. All models share the similar technical aspects but come with the different shape and selection of the finishes and aesthetic details. My first exposure to the Sigma Acoustic Maat speakers evokes somehow very different feelings, that I'm used to with the big speakers. The sound coming out of these giants pointed towards the real world drama, music's momentum was captivating and unlike with most large loudspeakers, the MAAT's managed to renderer realistic scale of performers and instruments. 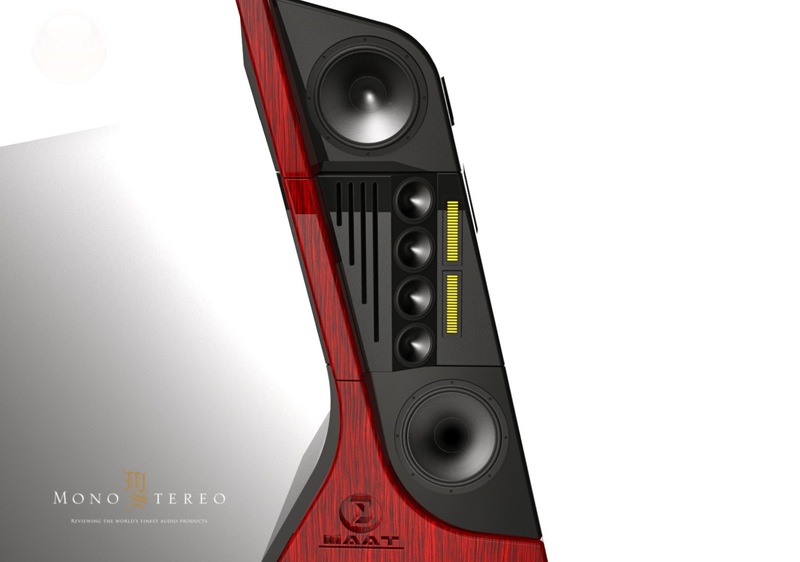 On top of it, the involving part, where mirroring of the real event should project the sense of human, emotional exchange (and this is not really the closest friend of the biggest and exuberantly priced high-end audio speakers out there), the MAAT have captured my attention with a vivacious presentation. When the musicians, the music, and the music's atmosphere becomes more than just the usual glimpse and glances, then the virtual inner clock starts ticking in sync with the music's inner metronome and this is exactly what happens with my MAAT's exposure. And, when music is more than just a sum of mechanical and electrical inter-workings, then the faux reality morphs into a lucid experience, where high-end audio system forms enough density and anchor points, that can portray not only grander sonic illusion, but also introduce the experience of the human aura. Too often we don't speak about the convincing musicians' presence and the effect or feeling of actual people, actually being there. As simple as this might sounds, this is nowhere easy to achieve at any level. 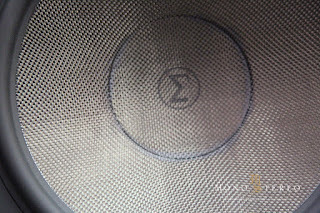 Yet, Sigma Acoustics MAAT speakers had somehow ignited this rare and highly exciting aspect and I was hooked to explore more. 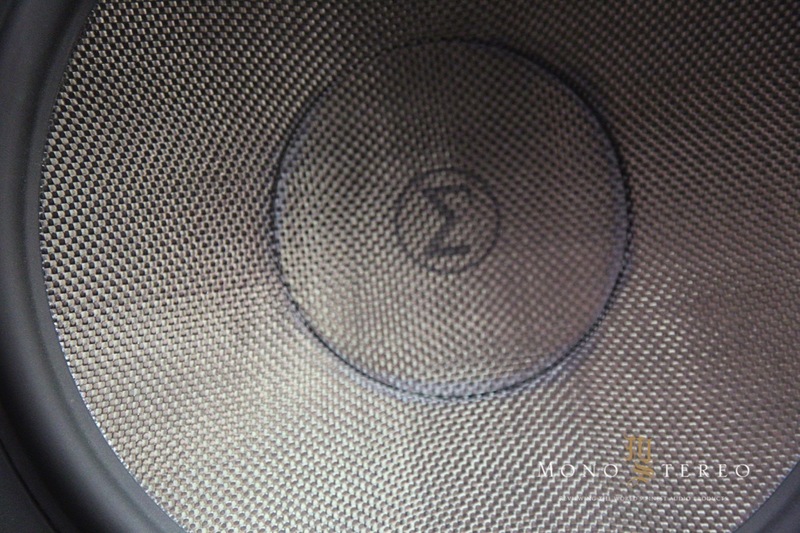 Many years of hard work, development, and research, as well as collaboration with several companies, allowed Sigma Acoustics to pursue such a complex project as MAAT speaker is. A few years back Aldo had a chance to actively participate and work closely with the Velut Luna Orchestra director with the "Two Countries One Heart" project. 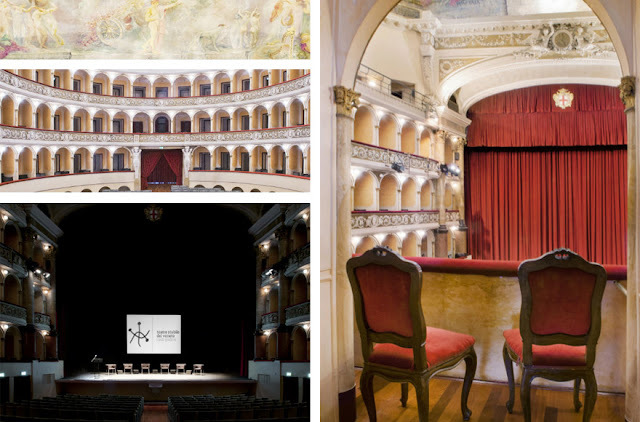 These concert evening events in Verdi concert Hall, Padua and all the emotional impressions Aldo "acquired" from live music (rock-classical-Jazz) allowed him to dig deeper into research and start forming something, that would later morph into the MAAT project. MAAT became a continuously re-ignition of Aldo passion and respect for the music. "Every time I'm close to the live instruments this transports me back to my first, beloved memories as a young boy discovering the music and instruments. But, when I've repeatedly listened to the timpani drums on the intro of "Song of a common man" the rough energy and impressive fast dynamics had never entered my soul and I've started to asked myself again and again: "Why is such experience not possible on the high-end audio system?" 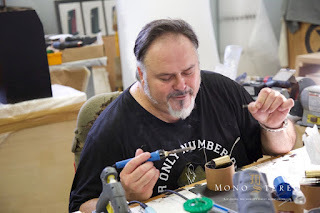 Aldo went back and forward with countless hours of listening and started to form a strong opinion about the practical limits of the high-end audio reproduction chain. For Aldo Zaninello, the pure energy of the live music is stored deeply in the consciousness and for him, such energy is coming from very special, heavenly place. When the MAAT's journey began some of his colleagues and business associates told him, how this project is too crazy to complete. Still... Aldo wanted to invest-risk both time and money for his dream and explore the ultimate goal of music reproduction. He devoted himself to study a real-life music impacts and how to bring the exact same experience into the high-end audio music's reproduction. "I'm most thankful to the friend and partners, who took this trip along with me. I strongly feel, how the end result is a combination of good fortune and God's will, as I was lucky enough to meet people and collaborators who could understand what I needed and help me realize it. But, I knew all the way how this was the really crazy idea." 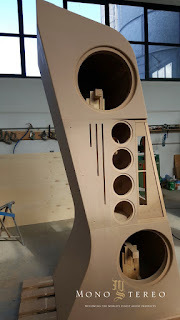 The negative side of these project/target/loudspeakers was the sheer size and weight, as well as the materializing of all the necessary parts. Even after the MAAT project completion, Aldo struggles to miniaturize or scale down the such an encapsulated energy reproduction into the smaller speaker. Why MAAT is such a unique speaker project? 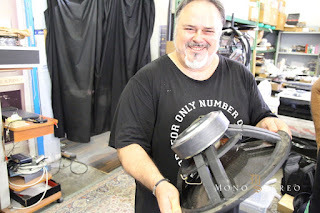 Aldo Zaninello wanted to build a milestone speaker, made in Italy, that would become the flagship of the Sigma Acoustics speakers' line and would embrace the passion along with all the knowledge and know-how gained through the decades of hard work. 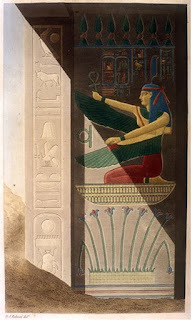 MAAT like The Ancient Egyptian Goddess represents the equilibrium and truth. These two virtues became the ground stones of this important project. The MAAT's were designed to approach the true sound sensation naturally, in all its features, even negative ones. All with the balance, similar to energy dealings in nature. 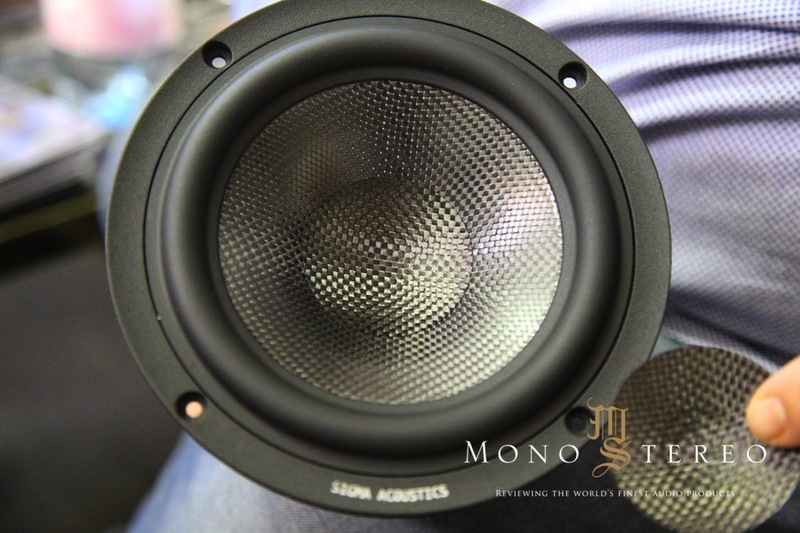 With Sigma Acoustics MAAT speakers Aldo wanted to expose the listeners to the new level of listening pleasure, where more natural, more dynamic and more extended sonic reproduction would allow the sense of sonic maturity. A plan was to form a pure dynamic and the "real", distortion-free sound, with lighting fast transients, that should offer an instant glance into the smallest, quark like anchor points of the music and could return to the constitutional place of silence instantly. 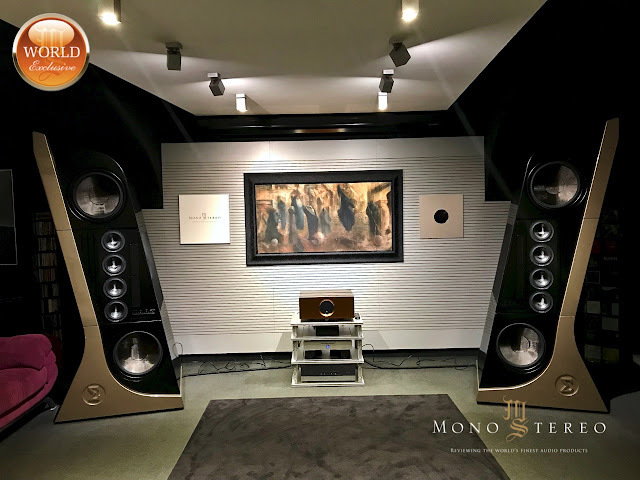 The real high-end sound or music reproduction is a combination a perfect balance between two antipodes, the strength, and lightness. Music can be feather light and the feather (the symbol of MAAT) represents purity and perfection, that is impalpable but able to "fly". Aldo feels, how with the music reproduction we need the same coherence between the sound we hear and the sound we perceive. As with vibrations, only the coherent and balanced parameters will create the strong illusion and an effect, that is close to the experience of listening to the live music. It took a long time to design special drivers, that would work in synergy with each other. The goal was to create a symbiotic match of components, that would allow the experience far beyond of the current aural horizons. In order to achieve this, special technical solutions were needed and necessary like 100 dB at 8 ohms, 16 - 30000 Hz within + o - 2 dB crossover 6dB/octave. MAAT speakers were designed from ground up to serve both extreme analog sources and high resolution digital in the best and exceptional way. The other demands were a perfect compatibility with both tube and solid-state electronics. Aldo firmly believes, that the evolution of the HD formats requires a potent partner, that can deliver the needed balance and harmony and makes "justice" to the mediums by offering a sonic reality, that can reveal intimate real-world drama with both micro harmonics and details. MAAT speakers project were ignited to approach true sound sensation with both poles; the negative and positive in most natural and balanced way. As contradictory as this might sound, the material energy always consists of two opposites; the Ying and Yang, the good and bad, the dark and light etc..
On the ultimate plane of high-end audio reproduction, there is no chance to even step closer to the unaltered musical portraying without proper frequency extension, correct timbre, attention to sound details, three-dimensionality and micro and macro dynamic potency. MAAT speakers were designed from the start to offer a great synergy with each choice of amplifiers. 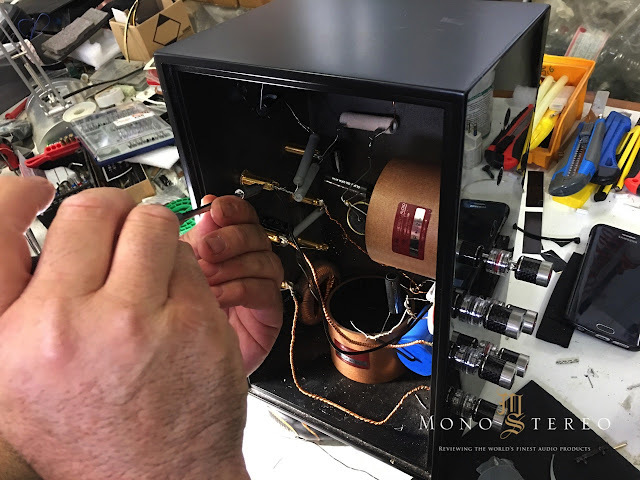 Aldo wanted to create a timeless speaker, that can be partnered with both high-end classics as well as contemporary amplifiers, regardless of being solid state of a tube. - Creating the perfect fusion of dynamic handling ability, high sensitivity and maximum sound pressure in absence of usual "trumpet" loading, that easily allows bigger sensitivity but destroys the sense of three dimensionality and timbre correctness. - From this challenges, it was evident how the new generation of speakers was unavoidable. The new MAAT needed utterly response sensitivity. Unique, propriety response curves and harmonic decay characteristics, as well as impedances curves, were needed for this project. - No modifications or fine tunings of existing OEM components were possible. Everything needed to be done from the scratch. This included designing and creating new driver's cones, coils, suspensions, and baskets by implementing the best materials and technology possible. - A new design of the driver's baskets was needed, that would be able to match the slight resonance of the powerful 15" drivers. The new, adjustable load-carrying system was designed, that at the end improved the Q by mighty 20%. - Special bass reflex loading system was designed in which the cone can move from 22 Hz to 16 Hz instantly, no matter in what room the MAAT speaker would be placed. 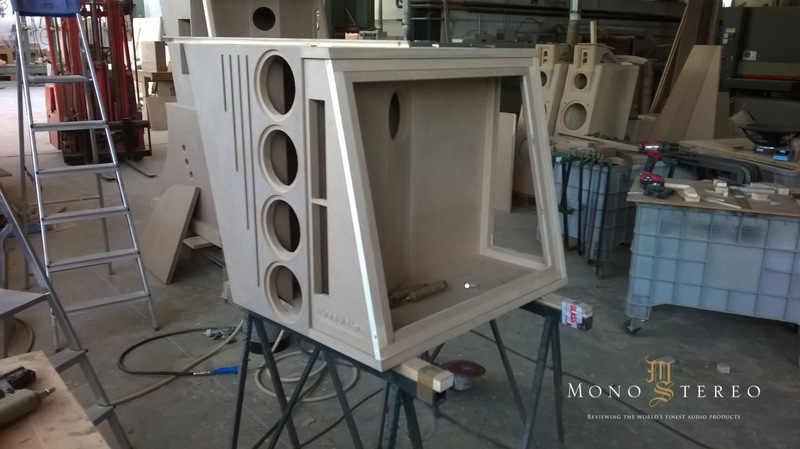 When the basic technical characteristics were set and all the objectives laid down, it was clear that this complex speaker system will be and a 3-way design with bass reflex. 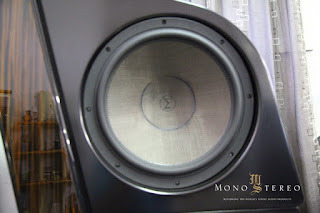 - A high-frequency range is handled by two Heil Amt Mundorf tweeter mounted laterally to the midrange in specular configuration. They are adjustable in the crossing angle and controlled remotely with the built motorized system. - Midrange section is combined from four 6" custom drivers in a 60-degree (to the front baffle) lateral positioning. All drivers are loaded in a unique decompression chamber. The hidden, rear driver ensure the widespread projection of the harmonic emission. - Lower section consists of tow custom 15" woofers, that are loaded into similar arrangement systems, but they are not used identically. The upper driver is not working in a typical d'appolito arrangement, that might seems, but covers upper midrange frequency in a unique was. The lower driver offers quick, and adjustable bass output. Sigma Acoustics MAAT speakers implement unique mechanical calibration and driver/ cabinet optimisation and MAAT's modular nature allows easy setup and transportation as all three cabinets, that are mechanically decoupled from one another. For such a gigantic speakers, this comes as mandatory. The Consistency! The sensation of the entire frequency range operates as consistent pulse and decay exchange. Of course, the optimum working should operate with the least possible harmonic distortions. Through the study of the isophonic curves and the "sound sensation level" slopes, the grand objective of the MAAT project was to match the feel of the live sound, both as heard and perceived. Hence a sensation of air movement and perceived "coherent" vibrations were required. MAAT's speaker array was created in such was, that could operate seamlessly at both lower and the most demanding levels (imagine the challenge of 120 orchestra members). MAATs were continuously refined to allow the enjoyment of complex music, at loud levels without the listening fatigue and with a sense of true, credible sonic reproduction. After two long years, the final design combined nine drives per speakers; two Heil AMT tweeter, five custom 6" midrange drivers, and two 15" woofers. All the drivers were positioned and "caged" in such way, that the sonic outcome could deliver optimised emission distribution with unaltered energy potency and detail density. Some speakers aim for a specific musical genre, but MAAT speakers were designed from the ground up to allow genre-less performance at any listening level and my listening notes repeatedly confirmed the same conclusion. For the better control of the sound projection, MAAT's Heil tweeters can be controlled remotely in the intersection angle of the two arrays (4 mid arrays and the two Heil arrays). This unique feature ensures the best focus possible by simulating the mono output in the delicate mid-range and high-frequency zone, where our hearing is more selective and sensitive to the projected information. 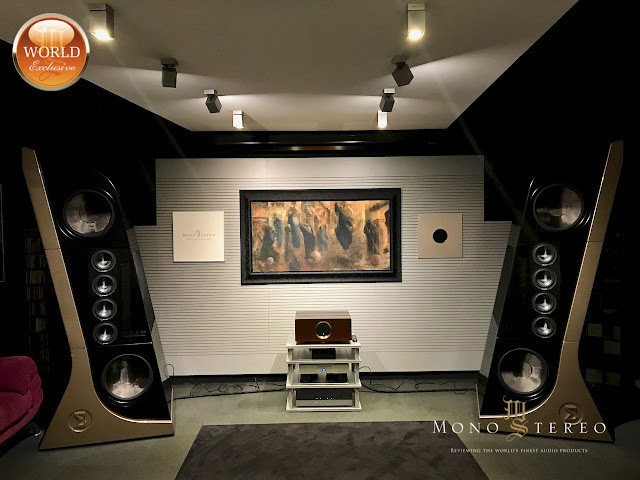 Even with the best speakers designs, the optimum interval of a clear decay motion between sound and silence is no easy task, but Aldo managed to tame the mechanics to serve the music with coherency and much-needed speed response. MAAT's are delivering higher efficiency (100 dB), but without added distortion, in absence of listening fatigue and ringing effect (like with some horns) at the prolonged, high volume listenings. On contrary to usual "entrapped sound" MAATs were contrived to produces pure, boxes and enjoyable sound, that grants the music's enormous volume amplitude to operate within natural laws of physic. MAATs were executed to offer virtually flat 8 Ohm impedance curve with no peaks or present the difficult load for the amplifier. When amplifiers start struggling with the speakers' load, the symbiotic interaction is lost and partnership becomes a mere forceful exchange rather than musical interaction. An initial plan was, that MAAT speakers would partner optimally with any amplifier type and could convey the exact amp's hearth and DNA. When the amplifier is left to "breath" healthy and operate optimally, this translates to the less distortion in play. 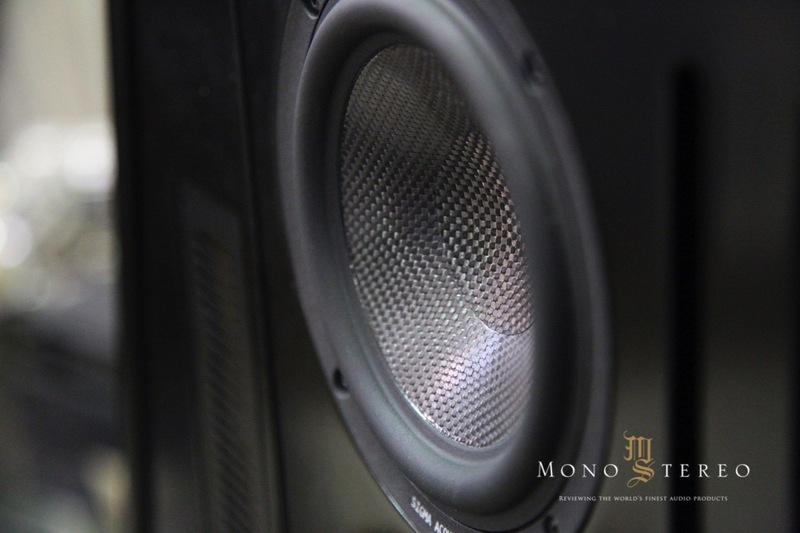 MAAT speaker can distribute 100 dB of clean, well distributed sonic energy to the environment and thus create a believable atmosphere where the relationship between sound and silence is much more intimate and with minute alike handling ability. Sigma Acoustics MAAT speakers very clearly designed by the music lover for the music lover and during my testing time I've tried them with a wide array of amplifiers like LAMM M1.2 Reference, new Riviera hybrid monoblocks, low powered tube amps etc. The result was always captivating and vibrant, bringing the music's core as forte. 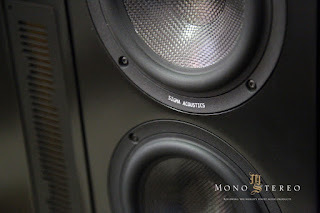 Everything, from the design of the drivers, the impedance curves, and the crossover cuts have been optimised in such way, that can be easily driven by an amplifier. MAAT's implements first-order crossover components (6dB/octave) with crossover points at 180 and 2000 Hz. All internal wiring is made point-to-point. For this project, a special version of White Gold Stradivari cable series with special conductors was developed. The capacitors in crossover come from either Mundorf's Evo Supreme range or as an upgrade the special Duelund inductors are used for bass and ribbon coils. Optimised and simplified crossover consist of few, highest quality resistors. Only 15 pairs of Sigma Acoustics MAAT speaker will be built. This reflects the 15 years anniversary of Sigma Acoustics. 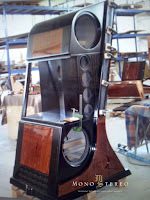 Each of them comes with a certificate, exclusive finishing and potential customer can order specific design from the catalog, that includes the Orchestra design (the review model) Classic design (with various choices of exotic wood), and Modern design (stealth - stretched lines and color details). 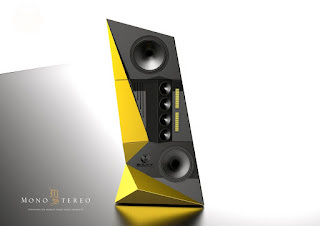 All the R & D associated with the MAAT project allowed the creation of the two new speakers models, that's carrying a grand portion of MAAT's DNA, trickle-down technology, custom drivers etc. First is the Orchestra 2.5, a 3-way design with 94 dB sensitivity and the same propriety custom drivers and second the all-new M8, two-way speakers. M8's apply the technical solutions from MAAT speaker project and both new models are highly influenced by the extreme demands as with MAATs. As Aldo Zaninello (owner of Sigma Acoustics) told me, his proud flagship creations rival Magico, Wilson and other upper echelon high-end audio speakers. 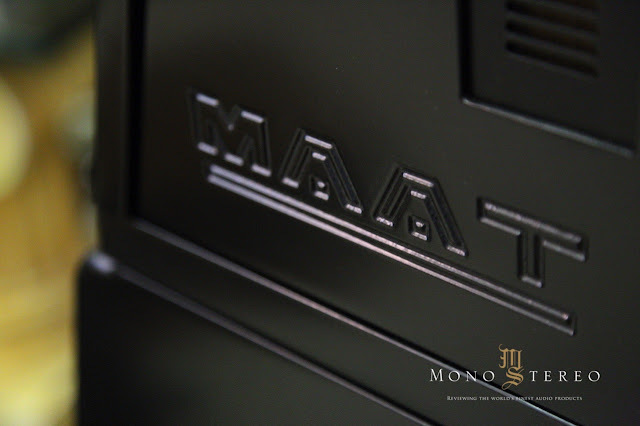 Especially in Asia, MAAT's already found quite a few happy homes in the listening rooms of the most demanding audiophiles and music lovers. From all of my accumulated experiences and finally the prolonged listening sessions, I can certainly understand why. 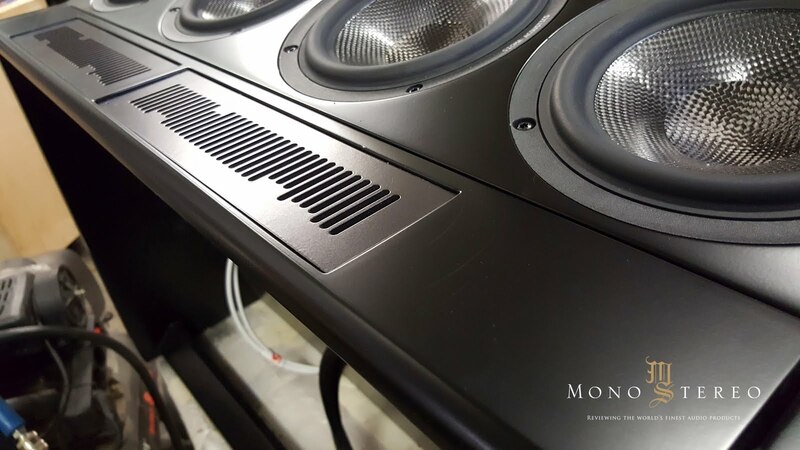 It's not only about the custom-made speakers' drivers, first-order crossovers, three (plus) decades of knowledge and experience, crazy amount of time and funds spent for this project. 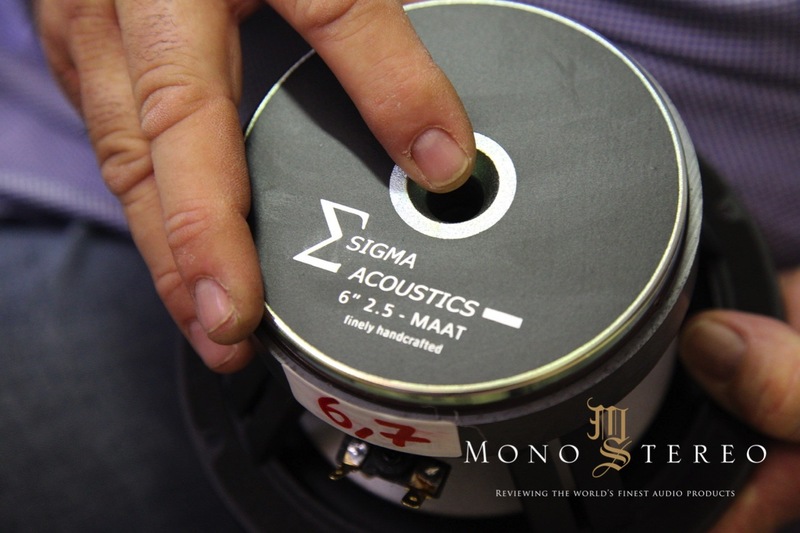 Its all about, how on top of everything mentioned, Sigma Acoustics Maat's were acoustically designed and voiced. Aldo is no rookie, but a true speaker's designer veteran. 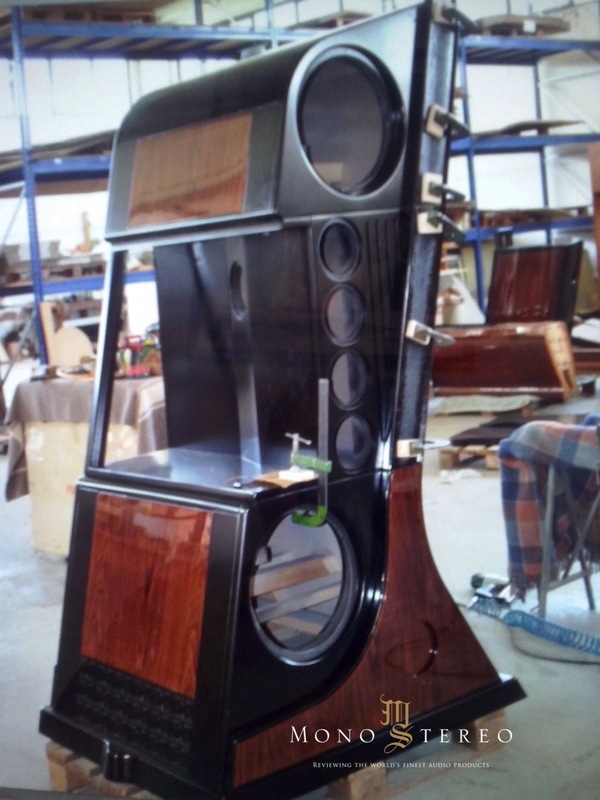 Over the years he had explored most of the speakers' designs, that includes the development of the iconic ribbon/planar Leonardo Speakers - loudspeakers. Like with everything in this world, different people are looking for different things and priorities. It's no different, when it comes to the ultimate music's reproduction. Still, for the people in a quest for the rendition of real drama and high-level non-compressed music enjoyment, Sigma Acoustics MAAT's are unique ultra high-end lenses, that can convey both micro and macro drive with grand fortitude. At the end of the day, it also comes down to the system synergy. Everyone needs to find the balance that will work for them. 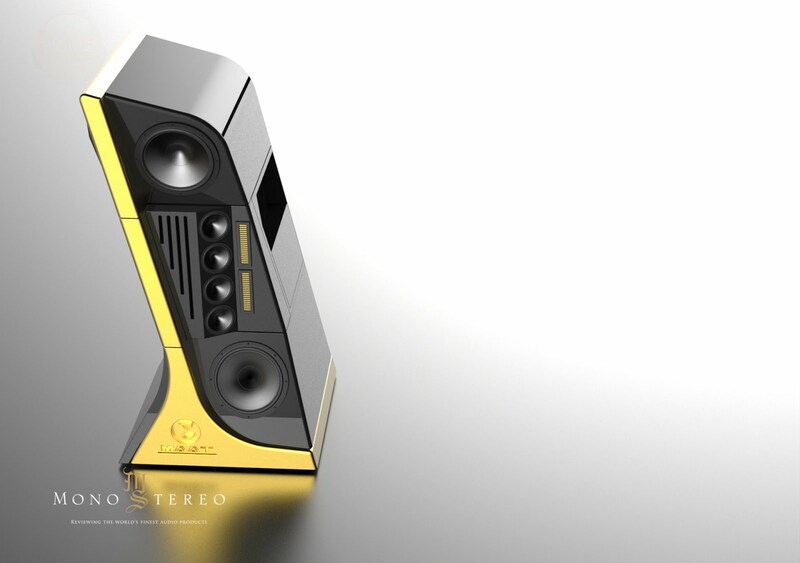 Some audiophiles, music lovers, and high-enders spend decades or lifetime to achieve the desired perfection. On the ultimate plane, the task of achieving the sonic perfection is really not that easy, but Sigma Acoustics MAAT speakers offer admirably potent state art to start the product, that ultimate system can be built around. If anyone is operating on this level of cost no object and non-ordinary plane, MAAT speakers should be on their auditioning list. Their élan might change you. They've had certainly changed me and my perception of the grand high-end audio speakers! Hats off Maestro Aldo! 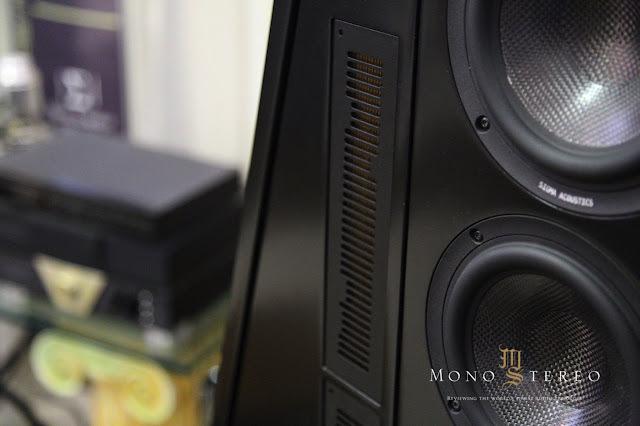 Sigma Acoustics MAAT Speakers are for sure THE surprise of the decade! - optimised dispersion to distribute in front of us with deep and precision tridimensional effect thanks to using the Tweeter and the mid-lateral output. - a deeper study of diffuser shape for controlled dispersion and directional emissions (lateral wings), that allows easy and optimal room positioning without booming effect. - external crossovers isolated from vibrations and noises of various nature. - lower Bass Module Point Adjustment System. 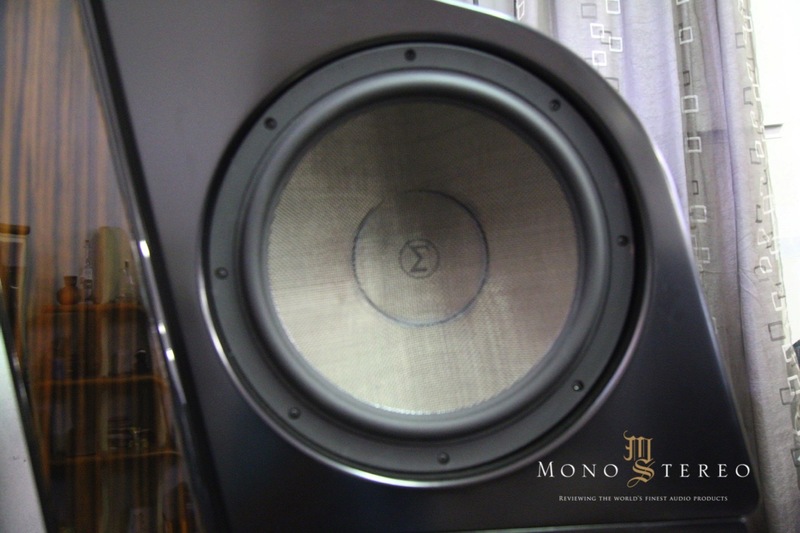 with frequency response extending from 16 to 40000 Hz. - max power handling - 1500 watts. - Distortion of 2, 3, 4, 5 harmonics -70 dB compared to the pulse. - Weight: 380 Kg with stand.